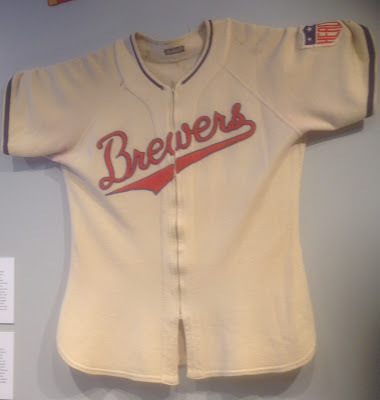 This amazing 1942 Brewers jersey is on display now through September 7th at the Jewish Museum Milwaukee, as part of their "Chasing Dreams" exhibit. Chasing Dreams celebrates baseball and the many fans, players, and characters who helped shape our American story. Every triumph and defeat, every hero on and off the field, has become another chapter in the history we all share. And for immigrants and minority groups especially, it has played a crucial role in understanding, and sometimes challenging, what it means to be American. Jewish Museum Milwaukee is thrilled to celebrate baseball this summer with a core interactive exhibit from the National Museum of Jewish American History in Philadelphia and locally borrowed memorabilia. This uniform style was brand-new for the 1942 season, unveiled the previous February. 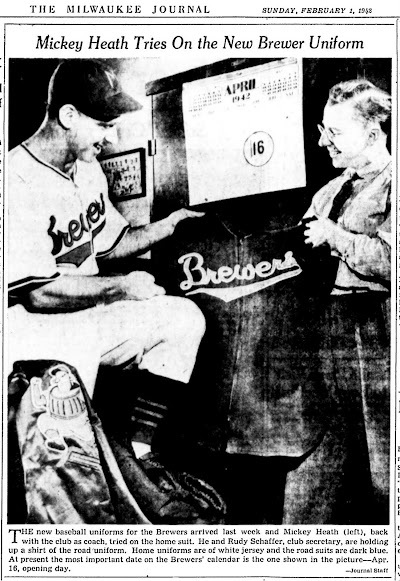 It marked the first time the name "Brewers" had appeared on a jersey. 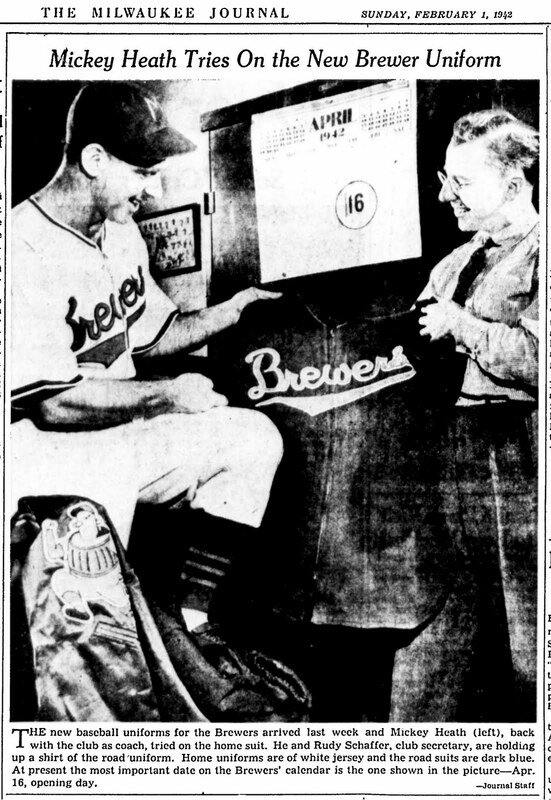 The corresponding road uniform that year was all-blue with the red script team name outlined in white, before the ridicule from opposing teams led team president Bill Veeck to adopt a more traditional gray jersey beginning in 1943. 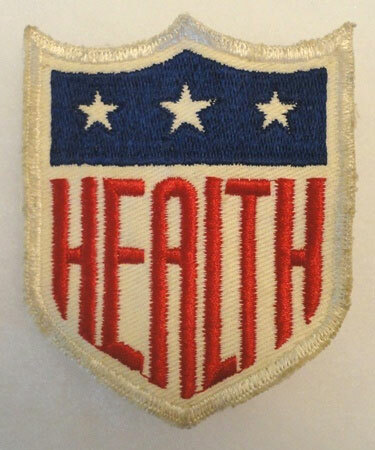 Although the jersey style was in use through 1945, we know this particular exemplar is from 1942 by the "HEALTH" patch on its right sleeve. 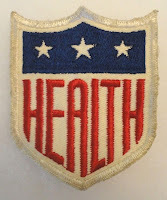 This was the logo of the "Hale America" campaign promoting physical fitness, worn that season by major and minor league teams, as well as amateur and recreational groups in sports from softball to bowling. The Jewish Museum Milwaukee is located at 1360 N Prospect Avenue in the Helfaer Community Service Building, immediately north of downtown. This is a fantastic opportunity to view a piece of Milwaukee's baseball history in person, to say nothing of the rest of the exhibit. Don't miss your last chance before it closes next week!